Aric Almirola started 13thand finished 10thto earn one bonus point. Almirola ran as high as seventh before the competition caution on lap 35. He pitted for four tires, fuel and adjustments, but an issue with the right-front wheel set the Smithfield Ford team back to 28th. Almirola weaved through traffic and re-entered the top-10 on the final lap of Stage 1. He pitted at the conclusion of the stage for four tires, fuel and air pressure adjustments. The Smithfield team gained one position on pit road. Almirolastarted ninth and finished fifth to earn six bonus points. Almirola gained two positions during the opening laps of Stage 2. Despite noting loose-handling conditions, he gained another two spots before Stage 2 ended. After Stage 2 concluded, he pitted for four tires, fuel and air pressure adjustments. Almirolastarted fifth and finished third. The Smithfield Ford driver passed teammate Kurt Busch for the lead on lap 211. Almirola led 15 laps before pitting from the lead under green-flag conditions for four tires and fuel. When he exited pit road he was passed by teammate Kevin Harvick. Almirola regained the lead on lap 232. During a caution on lap 257, Almirola pitted for four tires and fuel. His Smithfield Ford was third off pit road. Almirola fell to fifth on the final restart but battled his way to third, his best finish of the season. Almirola earned his best finish in 16 career Monster Energy NASCAR Cup Series starts at New Hampshire. His previous best result was fifth in July 2013. This was Almirola’s first top-five finish of 2018 and his second top-five in 16 career Monster Energy NASCAR Cup Series starts at New Hampshire. Almirola finished 10th in Stage 1 to earn one bonus point and fifth in Stage 2 to earn an additional six bonus points. 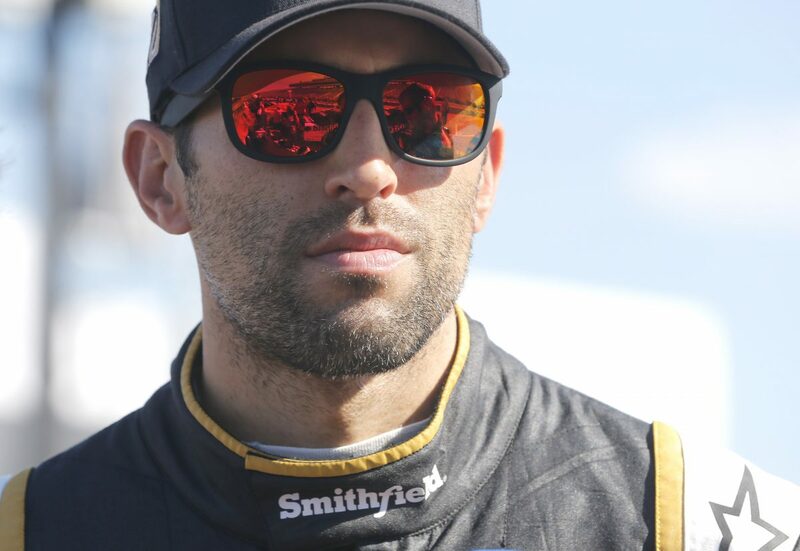 Almirola led twice for 42 laps – his first laps led at New Hampshire. Harvick’s victory in the Foxwoods Resort Casino 301 marked the 52ndoverall win for Stewart-Haas Racing (SHR). It was the organization’s 47thpoints-paying Monster Energy NASCAR Cup Series win and its fourth at New Hampshire Motor Speedway in Loudon. Hismargin of victory over second-place Kyle Busch was 1.877 seconds.